My mother recounted this funny story years ago after she had gone into an expensive fine china and porcelain shop (Minson and Company, Christchurch, New Zealand) to choose a very special present. She had asked staff some advice and was browsing the selection when there entered an exceptionally well dressed woman with her small son (approx 4 years of age). A staff member politely asked if they might be of assistance and was haughtily rebuffed as the lady rather sharply declared that she hadn’t decided which kind of item she wished to buy yet. My mother was the only other customer in the shop, so the tone of this exchange immediately caught her attention. (apparently it was well-known that staff in this shop were very helpful with their excellent knowledge of porcelain). The child started picking up various pieces, turning them over to view the bottoms and then setting them back. The child’s mother said nothing and let the boy do as he wished. Considering the delicate merchandise and the steep price tags attached, this certainly not what might be termed a “family friendly” environment, and it could potentially be financially hazardous if said ‘family’ is a child under five years of age. Thus my Mother said she found herself curiously spying out of the corner of her eye at the pair, as did, she noticed, the shop staff. (I assume they were getting rather nervous at child’s actions). However this was an establishment with no small “reputation” and the staff politely held back from admonishing the child. The little boy’s mother browsed the contents of the shop, standing a short distance away from her son, who blissfully carried on picking up item after another. His mother’s reaction was instant… she immediatly put down the item she had been looking at, blushed deepest red, rushed to the child, prised the item out of his hands and raced them both off the premises with almost indecent and almost comical haste. My mother looked over the to staff who were trying to remain polite and not laugh, but she couldn’t manage to keep her own giggles at bay and once she had started, there was no hope of keeping the straight face of decorum any longer and soon they were all wiping away tears of mirth. Obviously the little boy had no clue as to what was really expensive or not, but at that moment had just chosen to repeat something that he had heard his mother say often in shops. Clearly his mother was not necessarily quite the hoity-toity lady with manners that she made herself out to be. With those five words he successfully knocked her off her high and mighty pedestal and Parents everywhere given a sharp reminder that their offspring may not only spout fourth your wisest words in public, but also in their innocence, air evidence of your least-best parenting skills too. Sadly, Minsons was not a shop that I could ever afford to frequent as a young adult and now that I have tried to do some research to see what the business is like today, I discover to my dismay that apparently it ceased trading some time ago. I did however find the link (below) to a Canterbury Heritage Site, with a photo of the original shop (top left photo) which I know to be from the Christchurch City Public Library Archives. The shop that I knew however, was the later one depicted in the bottom right hand corner. I did go into Minson’s twice once I started work, and even then I was so afraid of breaking anything that I was a nervous wreck upon exiting. I remember a wondrously beautiful shop, but it did have the power to strike the Fear of God into me too. I’m very sad to learn that it has now closed and gone, but delighted to have a funny memory to remember it with. I know… I can only hope that the little boy didn’t get told off for simply “telling the truth” as it were. I kept my son’s creative journal from his Grade 1 year and the children were encouraged to write freely on any subject they wanted in them. Sometimes I would flip through the books in front of the teacher rather sheepishly never sure what my kids would share. Anyhow, sure enough one story he wrote was about a stew I made and why he didn’t eat it. He wrote a story titled how his mom tried to poison him, he even drew a picture! He caught me in the kitchen with my stew on the floor, well half the pot dumped out by accident…and well…I admit I put some of it back! I have no idea how to justify that action other than I know my floors are clean, truly they are! When he saw me put it back in the pot he lost his little mind. I went on and on about the importance of heat killing bacteria etc, etc. In the middle of dinner he told everyone what I did. Two of us ate it and the other two opted for cold cereal! Oh my, perhaps I revealed more about myself than I should have. Oh well and this is what kids do for you! Thanks for the connection kiwidutch, another funny post! Ouch, I bet that one stung! Blushes all round I bet. I have to admit that I’d have saved the stew that was still in the pot and dumped the stew that had been on the floor and eaten vegetarian or bread that night. I also confess that no matter how clean anyones floors I’d have sided with the cold cereal camp that evening too. Oh well, I guess you live and learn and I bet just quietly that the teacher read a LOT of eyebrow raising things in those Grade 1 Journals LOL. Wow for photos and the story. 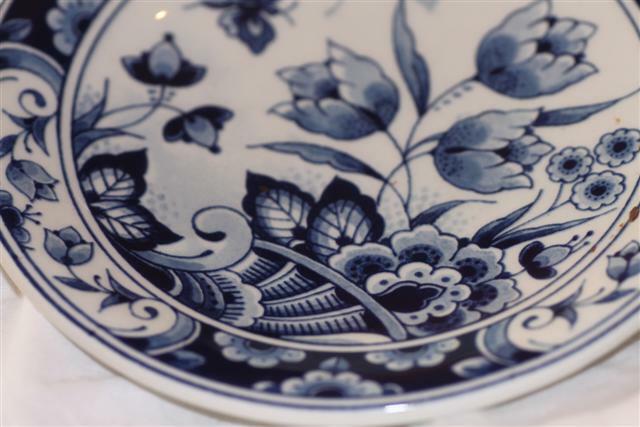 That is so beautiful porcelain. I am not a china expert, but when seeing it first time, I got a vision from Delph porcelain. Maybe I like it, because my Favorite color is blue. 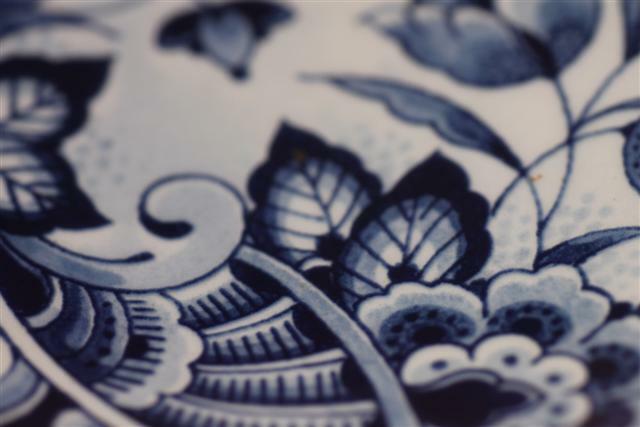 Sartenada, You are right, the photo is of a little hand painted Delftsware plate that was a gift to us. 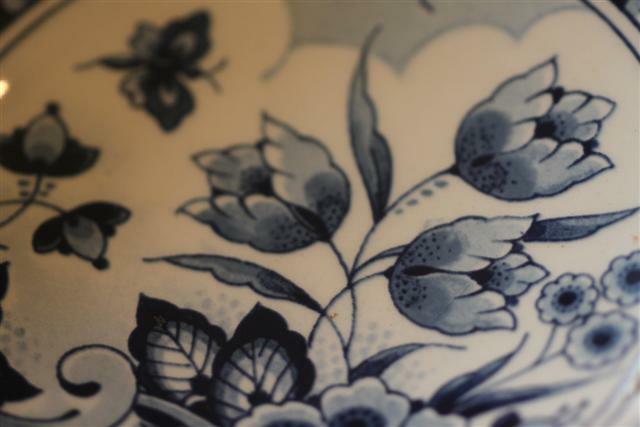 Living so lose to Delft and having seen the hand painted prices of the pieces I KNOW it wasn’t cheap either, but it’s not the price that makes it special, it’s that I totally ADORE this pattern. 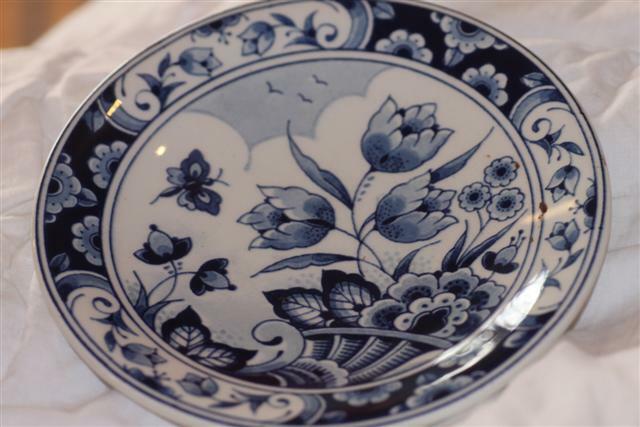 (especially the outside edge part of the plate) I even went in there last year to ask if they still have pieces in this same pattern, sadly they don’t at the moment. If they do again I will be giving myself a very special one-off present of another plate to match this one. I love the blue and white too… they have multicoloured varieties of Delftsware but the blue and white stops me in my tracks every time. I enjoyed this content, good stuff, I have bookmarked this page and shared it so other can have a read, many thanks. Every time went into Minsons I was terrified of breaking stuff as the display shelves seemed to always wobble when i walked past. And it was all pretty pricey. I was a student in 1980 so one had to be careful with money, different needs these days. Trish, those were the days indeed… and what a shame that that phrase now applies to so much of Christchurch, it’s treasured places with so many memories. Whenever I went into Minsons my blood pressure rose considerably, (I’m of the clumsy persuasion) so I was always SO nervous that I’d break something. I did get some BEAUTIFUL little pieces for wedding presents for friends there and going inside was “an experience” since it was such a grown-ups shop. I agree totally with the “bit of old fashioned hard work” part of your comment, kids are waaaay to scared of getting their hands dirty these days and they have the bizarre notion that starting at the bottom and working their way up shouldn’t apply to them. The sense of entitlement needs to meet Reality in a BIG way for many kids leaving school.